Are you ready for a full day of fun in Hoi An? 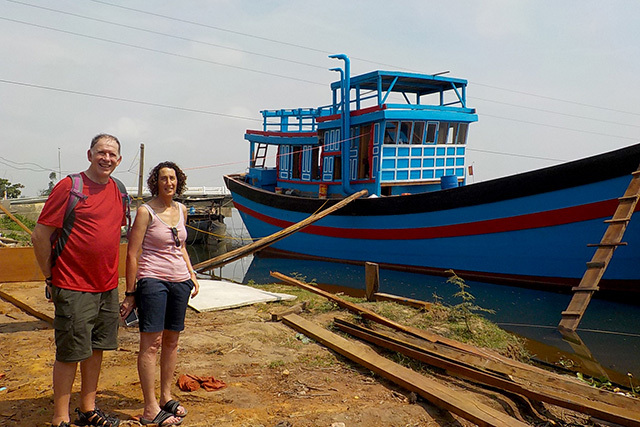 Start off with our famous countryside tour for an insight of Hoi An real life. Then enjoy the magnificent A O Show in Hoi An. Discover a rural lifestyle as we head out of town & into beautiful countryside riding pillion on our vintage Vespas. We weave along narrow roads into quiet villages, following the winding waterways that lead us to lush agricultural landscapes where we pause to visit local families and learn about their lifestyle and rural trades. 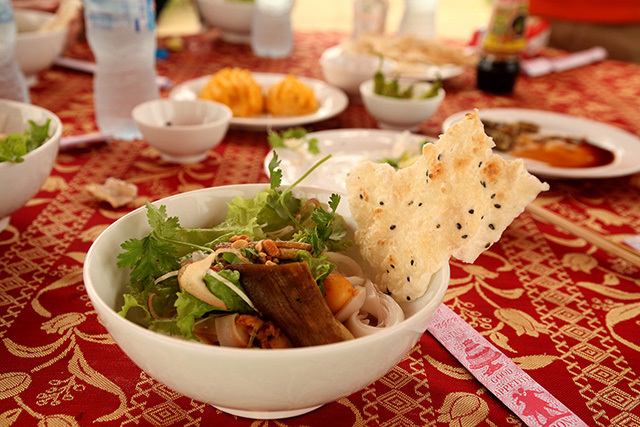 Let our guides show you the real Vietnam on the roads less travelled & try some classic countryside dishes in a natural & scenic environment; from the farm to a table, set up in the verdant vegetable & herb fields. 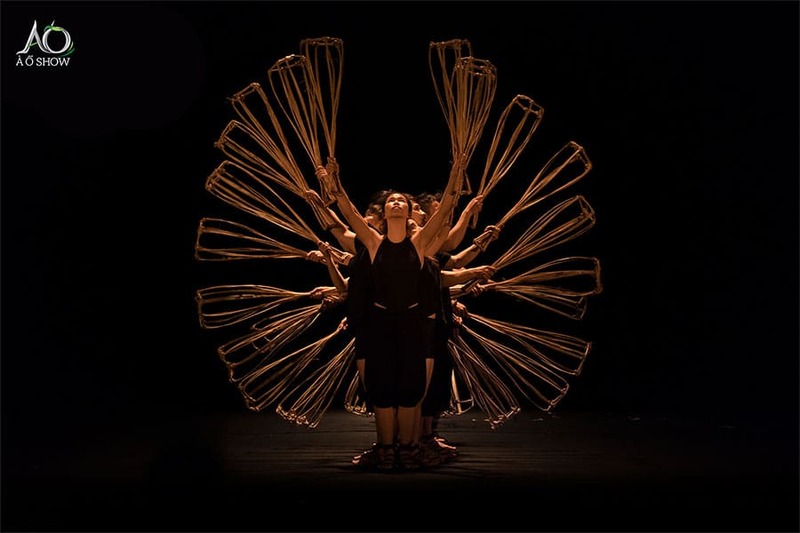 Giant woven baskets turn into flamingos and crabs, among other imaginative creatures and contraptions, thanks to the clever performers behind the A O Show. 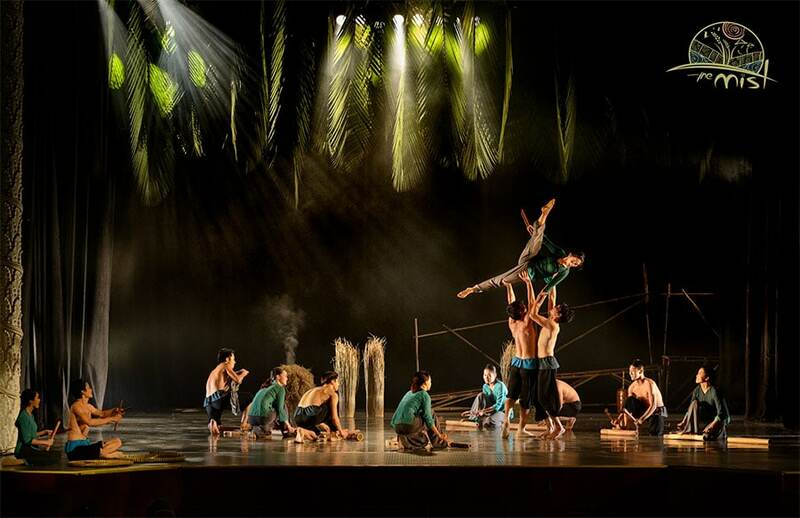 Visit the magnificent Lune Performing Center of Hoi An for this sophisticated cultural show featuring traditional music, dance and acrobatics. 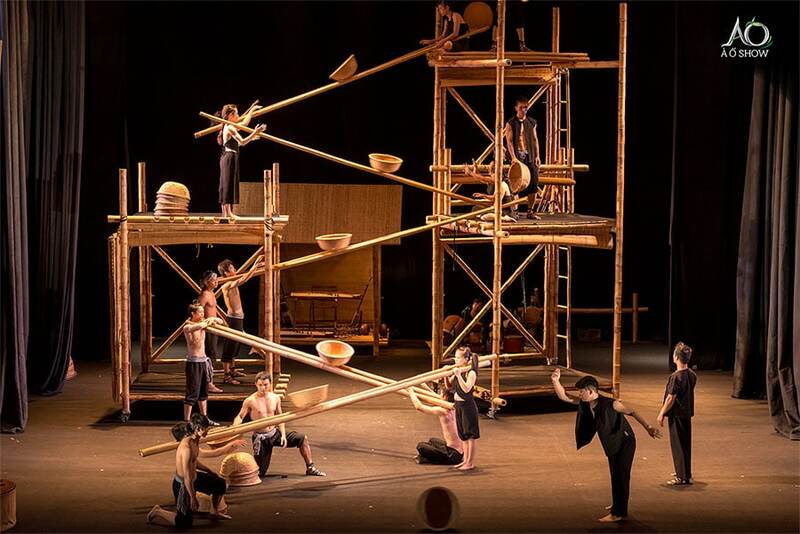 Beautiful choreography and stunning optical illusions lend to a story about how a rural Vietnamese community adapts to urbanisation. Grab a complimentary beverage before settling into your seat for the family-friendly performance. 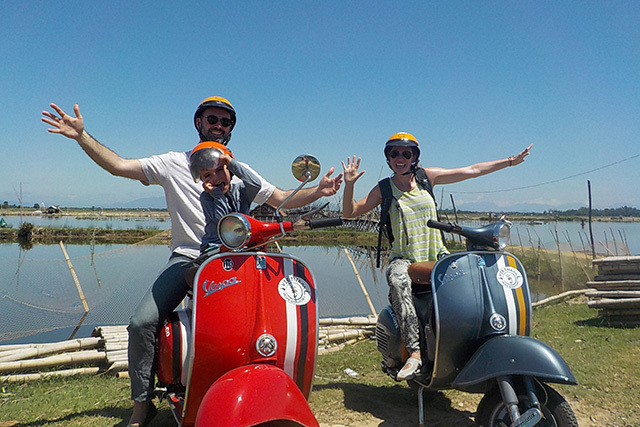 Guests ride pillion behind Vespa drivers to enjoy and experience the rural Vietnamese lifestyle in the villages & beautiful countryside surrounding Hoi An. 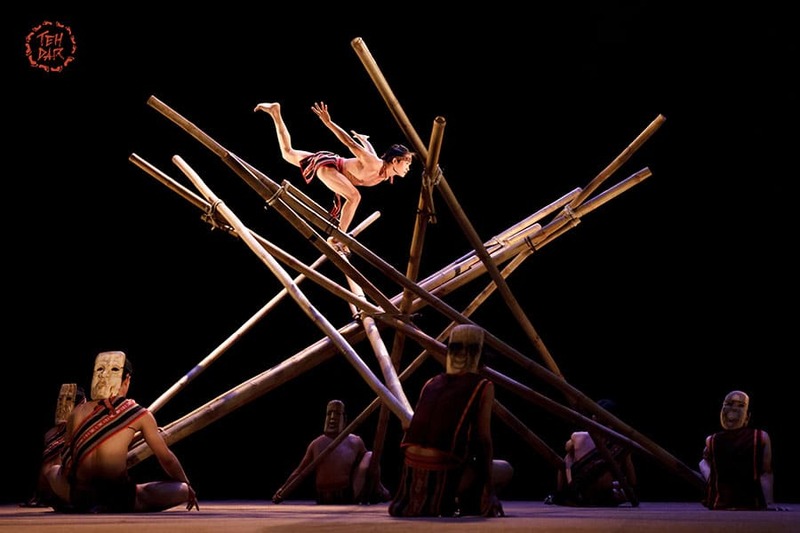 The A O Show combines exciting elements such as bamboo cirque, acrobatics, contemporary dance, and theatrical visual arts. This marvellous show is performed at the Lune Performing Center Hoi An and is a must-do while visiting Hoi An. For more info, click here. Your A O Show Ooh! 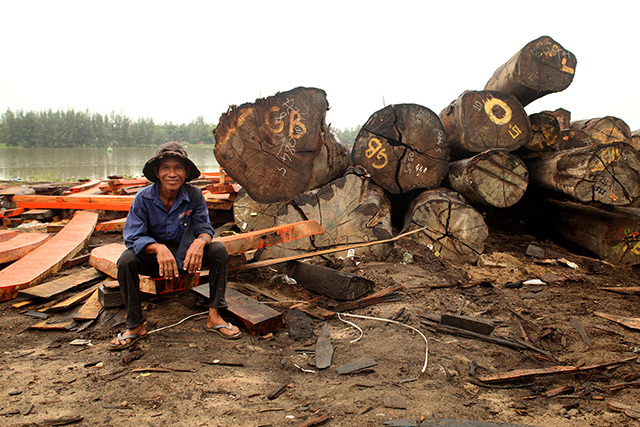 Ticket will be redeemable for up to one week after your Rural Villages Experience Tour. (A O Show schedule.) Check out three other cultural shows also applied for this promotion: Teh Dar, My Village and The Mist Dance Show.